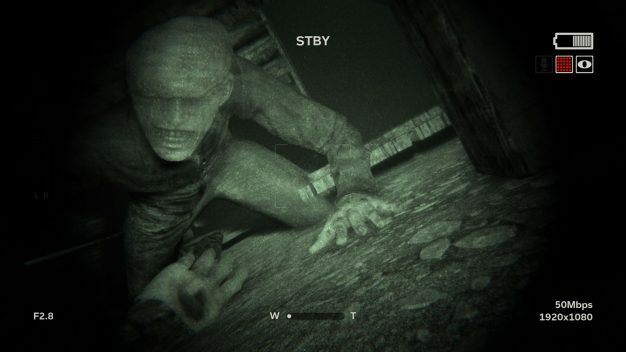 The original Outlast from developer Red Barrels Inc seemingly came out of nowhere, taking gamers and game reviewers by surprise. It was a new take on the horror formula, putting player in the shoes of a protagonist who could not fight back. The player could only run, hide or sneak their way past the myriad enemies that lurked around almost every corner. Red Barrels is back at it again with Outlast 2, which is actually the third entry in the Outlast series. The run, hide, sneak feature returns and the scare-factor has been turned up to 100 with a setting and a story that will have you constantly looking over your shoulder. This time around, you take on the role of cameraman Blake Langermann as you join your investigative journalist wife, Lynn, on a trip to the Arizona desert. While there, she hopes to uncover clues to the suspicious death of a pregnant woman. Little do they both know that they are heading into the heart of darkness. The truth they find will undoubtedly be more sinister that the obstacles they must overcome in order to get to that truth. Madness will be licking at their heels as they encounter one cult that sees all outsiders as evil and one that has vowed to fight them with everything that they have. The stakes are high and playing this game could mean they lose their life. As I mentioned in the intro, there are no weapons to be found in this game, at least not any that Blake and Lynn can use. They are not fighters but investigative journalists who may be deadly with the written word but are quite useless with a weapon of any kind. This isn’t Resident Evil by a long shot. 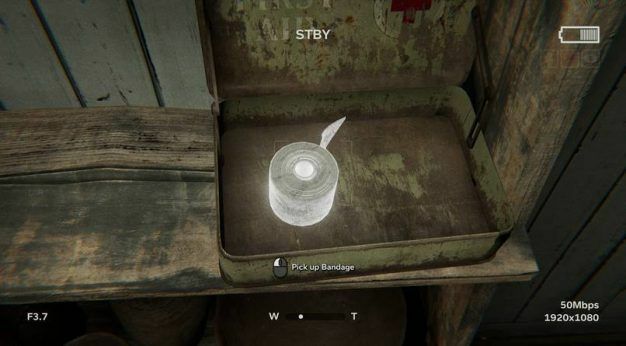 The only items that you will find in the world are rolls of gauze that you use to heal yourself with, spare batteries to power Blake’s digital video recorder and handwritten notes that help to flesh out the story in the game. The game doesn’t give you a lot of info other than the fact that you crash in a helicopter on your way to the Arizona desert where it is immediately noticeable that things are just not right. While you are not presented with a lot of info initially, there are features that the game uses to help you get that information in order to find out the truth behind the murder of the pregnant woman. You can take video of specific situations, and when you go back to look at the footage, Blake will reveal his thoughts on it uncovering enough info to get you to the next clue. Notes are pretty widespread and help to fill in the blanks, so to speak, about the people who you are dealing with at the compound. In addition, you eventually get the use of a parabolic mic that is built into the DVR. This allows you to hear conversations of the compound’s denizens from a safe distance away, of course. Getting these tidbits of info is what keeps you pushing forward and, ultimately, is the goal of the whole adventure. The visuals in Outlast 2 are supremely stunning. 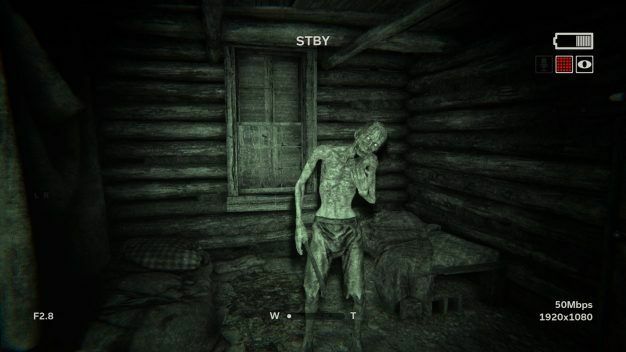 I was honestly surprised as I wasn’t very impressed with the visuals in the original Outlast. 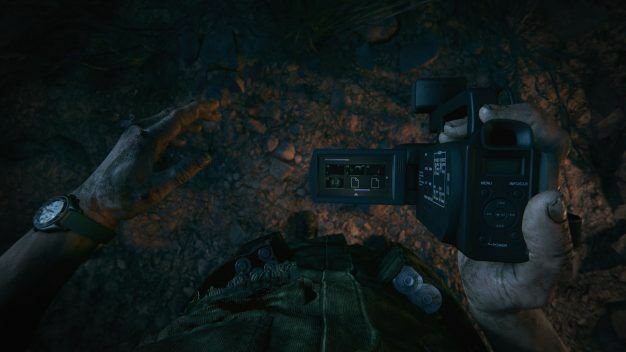 Being that most of the game takes place in pitch dark, I was happy that Red Barrels took the time to really dress up those areas that you do get to see outside of the night vision setting on the DVR. 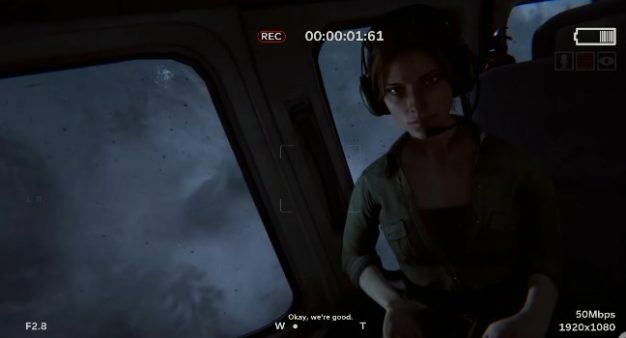 That night vision setting is how you will experience most of the game and where you will experience some of the most intensely frightening moments in the game. There’s nothing like inching your way through a dark room while viewing your whole world at the time through a 2 inch screen (it’s not really just two inches but for the games sake, it’s supposed to be) only to turn around and see one of the most vile creatures you have ever seen running at you with its mouth ajar. I must confess I lost my $#!t a couple of times from this happening to me. While the overall visual aesthetics of Outlast 2 are very pleasing, the sound design is what really brings the gameplay together. I played with a decent pair of Turtle Beach headphones; if you have a pair, I suggest you play while wearing them as well. The ambient noises from birds and other animals helps to create the mood while the voices of the people (if you can call them that) shape the horror aspect of the game. Hearing a crowd of them running after you once you have been spotted definitely got my heart pounding. And you know the poo is about the hit the fan when you enter an area and some ominous and seriously spooky music begins to play. I don’t normally like to play horror games outside of the random Resident Evil release, but I found myself thinking about this game when I wasn’t playing, oddly enough. Outlast 2 is not a long game and as one of the (SPOILER ALERT) achievements is named for, you can beat the game in under four hours. That may be a deal breaker for some on a game that is being offered for $29.99. However, if you enjoyed the first two entries and are curious to see where this third entry takes the franchise, I say go ahead and pony up for it. There aren’t very many game development studios that can do horror just right, but Red Barrels has it down pat and I’m hoping that they are currently working on a fourth installment as I type this.